Spent a weekend with Jennifer Thompson who happily showed me all that Siesta Key has to offer. She was patient, knowledgeable and above all, honest. Working with her was easy. Jennifer had the ability to zero in on our needs and show us the properties that best suit our family. She answered my questions and always got back to me in a timely manner. Her enthusiasm, knowledge, and love for the area showed. I would highly recommend Jennifer Thompson. "The Power of Two." No kidding! Christine and Jennifer are real pros. They guided us through our home search and successful purchase with skill and the obvious confidence of seasoned veterans. Plus, they're a couple of great gals! So glad we found them. Helped me rent a home in Gulf Gate Estates, Sarasota, FL 34231. They responded within minutes of my Zillow inquiry. They both continued to assist me with multiple listing until I found the right house for me. I have already recommended them to a friend and will continue to recommend them. I recently had the pleasure of working with Christine and Jennifer when they represented me with the purchase of a condo on Siesta Key. I cannot say enough about how helpful and professional they were. They both went above and beyond the call of duty while we dealt with a difficult purchase situation. Christine and Jennifer are each highly personable, fun and friendly all while handling business in a professional manner. Not only were they my agents, they are now true friends! I would highly recommend them to anyone looking to purchase or sell in the Sarasota area. My experiences with Christine Kramer have always exceeded expectations. She understands the customers' needs and is exceptionally responsive. She will provide a nice variety of options that meets the customers' needs. I have worked with a number of Realtors over the past thirty years. Christine and Jennifer are extraordinary. They exemplify professionalism, courteousness, respect, and thoughtfulness. Christine quickly became more than a Realtor for us. She was also a tour guide, hostess, adviser, and friend. The team did a wonderful job of educating us about Sarasota real estate, and they were tireless in showing us properties and answering questions. We never felt pressured to make an offer on a house; rather, Christine and Jennifer were always quick to give us their honest opinion of what we were seeing. We always felt that they had our best interests at heart. When we did make an offer, Chris became, if anything, even more involved. She helped us with the negotiation process and the various inspections, and guided us through the complex task of lining up all the various elements necessary to successfully purchase a house. In short, we feel very lucky to have Christine and Jennifer in our corner. It's my hope that you feel equally lucky to have them with your firm. We met while casually seeking a home to co-own with our adult daughter. Our search picked up in pace and intensity when we joined the Kramer-Thompson team! Tops in being Client Focused: Accessible, Professional, Prompt, Prepared and Fun to work with. They stick like glue to the process! Christine and Jennifer follow up on the big and little things within minutes or hours--always! So it seemed almost magical to find/buy the perfect home for the perfect price, perfectly and conveniently located in a lovely serene neighborhood in central Sarasota!! Good for us! Good for the sellers! AND good for the power of two team and their company Michael Saunders. New to the state and community of Sarasota, Jennifer and Christine helped me find the perfect small home in a safe, spacious neighborhood. Jennifer selected a variety of condominiums that fit both my budget and home requirements. Both were with me at every step in the home buying process making certain I was knowledgeable about all processes and documentation. In addition to finding the perfect home, other attentive services included providing recommendations for mortgage home insurance, HOA information, etc., being with me during hours of inspection, making certain needed repairs were performed, the final walk through, and closing. I was at ease every step of the home purchasing process, knowing Jennifer and Christine were a text, email, or phone call away! If you are moving to the Sarasota area, your search for the right realtor should stop here. Moving from the DC area, I needed a crash course in waterfront living. The best areas, return on investment, etc. Christine took her time and never pressured for the sale. Her father in law had just passed the day before and she still kept the appointment to show homes. Even took me to her house so I could get a feel for the waterway. After the sale, she continued to be a great resource for tradesmen, places to eat and entertainment. She is truly a wonderful asset to help make your transition as smooth as possible. Jennifer and Christine guided me through an almost effortless transaction. The contract advice was "spot on" and won the deal. Their kind and pleasant disposition was a calming effect throughout the process. Thank you ladies. Jennifer and Christine are awesome. When we first met with them we were not sure of the area of Sarasota we wanted to be in, if we wanted to be on a golf course or the beach, if we wanted a condo or a house. They set up showings in all different locations and helped us figure out what would truly make us happy. Once we figured that out they were there every step of the way. Since we live out of town they set up inspections and then made sure they were there. Even after the closing they are still going above and beyond to make sure we get the services we need set up. We just can not say enough great things about the both of them. When our home was first listed there were 5 other properties for sale on our street. The unpredictable market had just slowed down in our price range after a busy spring and my husband and I were concerned. We didn't need to be. Jennifer and Christine worked hard and worked smart throughout the whole process. For us, figuring out the value of our home and positioning it correctly was crucial with so much competition. Jennifer and Christine used their connections and knowledge to secure a spot on appraisal. They worked tirelessly to get the word out and held repeated and multiple open houses to garner interest. Our buyer walked through the door during a Sunday afternoon open house. Jennifer and Christine negotiated a good contract and terms and we experienced no drama. The transaction was smooth and stress free and both buyer and seller felt that their needs were quickly attended to in a very professional, friendly manner. Jennifer and Christine have committed themselves to being knowledgeable, responsive agents and it shows. My husband and I highly recommend "the A team" :) and thank these two strong agents for their effective efforts and quick success in getting our home SOLD! Our family is now happily experiencing a new adventure and the property is in good hands with a delighted buyer. We couldn't be more pleased. The Kramer - Thompson Team was excellent! I met Mrs. Thompson while visiting an open house. The house was a no go, it was too small. Unfortunately, I didn't find a house that day, but what I did find was a professional and energetic real estate agent. I hired Mrs. Thompson to sell a house that I had been trying to sell on my own for more than 200 days. She worked diligently and was successful in getting it sold quickly. I highly recommend The Kramer - Thompson Team. I recently closed on a home purchase on Siesta Key with Jennifer and Christine as my real estate representatives. I have purchased many properties in the past and I would say you could look long and hard to find a team as great as they are and you would probably not be successful. Besides the qualities specifically highlighted above, they have excellent inter-personal skills, were always pro-active, introduced me to great local service providers and vendors and managed every step of the process (some of which were not always easy.) The team approach that they operate under was very helpful with each person being seamlessly interchangeable with the other. Jennifer and Christine would be the only ones that I would call if I needed real estate support in the Sarasota area again and I would (and have) highly recommend them. These ladies are ultra professionals... They work as a team. They are extremely honest. They have great interpersonal skills. I could go on and on... The best negotiation skills ever! Thanks to them, I now own a portion of my favorite beach. Thank you!!! This team is a great selling team. They are very professional and attentive to details. They immediately had a beautiful listing of our home put up on every website, complete with virtual tour and perfect pics. Jennifer and Chris were a pleasure to work with and we would highly recommend them as knowledgeable, attentive and willing to go the extra mile to accomplish their clients' goals. Whether it be researching warranty plans to find the best, recommending reliable companies to make home improvements, or translating real estate language, they do it all well and respond to calls and questions immediately. They were so friendly and energetic we knew instantly that they would be easy to work with and that the anxiety during the process would be kept to a minimum. The bottom line is they sold our house! Thanks again Jennifer and Chris for all you did. - Carolyn and Dave J. These ladies are ultra professionals. They work as a team. They are extremely honest. They have great interpersonal skills. I could go on and on. The best negotiation skills ever! Thanks to them, I now own a portion of my favorite beach. Thank you! We recently bought the perfect house, for us, in Sarasota. It happened only because we were lucky to sign the Kramer Thompson Team as our agent. Based on two house hunting trips to Sarasota, Jennifer Thompson and Christine Kramer knew exactly what we wanted and needed. They are great listeners. We just moved into our new house and we love it! It is because of the extraordinary efforts of Jennifer Thompson and Christine Kramer that we own this great property. They were very familiar with all aspects of our desired neighborhood and they listened and discussed our priorities both while we were in town and long distance. When the perfect house came on the market, they worked tirelessly to put us in the best position to successfully purchase our home. From house hunting appointments and contract negotiations to closing, Jennifer and Christine were always on target. Trust is important during the stresses of buying a home and this dynamic duo came through 100 percent. They provide their clients with personal and caring service for which we will always be grateful. - Ed & Cass S.
Recently I was in Sarasota looking to purchase a condo and had the great pleasure of working with the Kramer Thompson Team. They were very responsive and focused on finding a condo that met my requirements. All my interactions with the Kramer Thompson Team were very professional and I would HIGHLY recommend them to anyone who is looking for property in Sarasota. It was a pleasure working with both Jennifer and Christine, they made the purchase of our condo an easy and enjoyable experience. We would highly recommend them for your realty needs. I recently closed on a home purchase on Siesta Key with Jennifer and Christine as my real estate representatives. I have purchased many properties in the past and I would say you could look long and hard to find a team as great as they are and you would probably not be successful. Christine and Jennifer were very helpful in assisting me locate areas that would work for me either as a primary home or seasonal location. Both realtors demonstrated an excellent knowledge of the market, prices and points to consider both positive and negative with each location. Jennifer and Christine worked hard and worked smart throughout the whole process. For us, figuring out the value of our home and positioning it correctly was crucial with so much competition. Jennifer and Christine used their connections and knowledge to secure a spot on appraisal. They worked tirelessly to get the word out and held repeated and multiple open houses to garner interest. Jennifer and Christine negotiated a good contract and terms and we experienced no drama. The transaction was smooth and stress free and both buyer and seller felt that their needs were quickly attended to in a very professional, friendly manner. - Scot & Sheri M.
Jennifer and Chris were amazing to work with! Between their knowledge of the local market, their responsiveness and enthusiasm and passion for what they do, I could not have asked for a better experience. We have moved around and looked around a lot. I must say that this team of girls are beyond words the most heartwarming people we have ever met. What a true blessing to have someone listen...be concerned and help. It is not about the commission but they truly are professional, friendly, honest and caring. Keeping in touch but never pushy. If you don't get a chance to connect with them it would be a shame. More realtors could learn from them. Thank you! Realtors were responsive and helpful. They followed thru promptly of request and were available from offer to closing detail. Their expertise was very helpful of the local real estate markets. Jennifer and Christine were friendly, enthusiastic, professional, efficient and best of all tremendous to work with. They were on top of our purchase from the first phone call to the closing, never missing a beat. By the time we moved into our new condo we felt like they were already new best friends we would happily work with in the future. We heartily recommend them. - Gary & Kathleen R.
Jennifer and Christine were always available when I saw something interesting on Zillow. They always got me in to see homes on that day. They also kept looking even when I was up North and would send me what they knew I would like. Jennifer even helped us unload the van the day we moved! I highly recommend them. Christine and Jennifer have provided us with top notch service. They staged our home and held open houses and caravans as necessary to get the job done. They are motivated to sell your house on your terms. I highly recommend them! This was our first experience at working with an agent since we have lived in the same family owned house for 30 years, we were so excited but yet nervous about buying a place. The minute we met with Christine she made us feel so at ease. She was very professional she listened and found exactly what we were looking for. As we drove and looked at places she made us feel like we were with one of our friends, so easy to talk to and she knows the area so well, and was happy to share great information with us. We are looking forward to Spending more time in Florida with our family. We feel we now have a new friend in Christine and hope to keep in touch, if we ever need to look for another place we would definitely call her and let her help us. We are happy to say this was the first purchase for us and the first sale for her, so we feel we have a special connection with her! Great job Christine!!!! Christine Kramer and Jennifer Thompson went above and beyond in both the purchase and sale of my extra condo. As an out of state client (and licensed real estate salesperson in New York) I found them professional, knowledgeable and always on point at every turn. This team is a great selling team. They are very professional and attentive to details. They immediately had a beautiful listing of our home put up on every website, complete with virtual tour and perfect pictures. They hosted lovely open houses for realtors and the public. They also staged the home. They are very personable and easy to work with. We highly recommend Christine and Jennifer. We met these agent when we needed to see a house in 30 minutes and they made time for us to see this house on short notice. That house didn't work but they found another home for us and they went out and we facetimed the walk through. We put in an offer that day and we love the home. They have been helpful after the sale in getting info on the house. We really appreciate there help. With one phone call we were looking at properties within 20 minutes. These two ladies really are a team. They looked for homes while I was working and found "the one". Never felt pressured or hurried. Always professional, polite, and go the extra mile. They are completely on top of the next step in the closing process. Hope to move in next month. I couldn't thank these two enough! Christine was an energetic, aggressive, relentless but gentle agent who MADE the sale happen. She was at all times available, approachable and patient with this seller. She helped with staging. What a jewel for Saunders to have on staff! My husband and I arrived in Sarasota on 11/5/15 with a list of places to see that we had researched on line from New England. The first person we contacted was Christine and together with Jennifer they accommodated every question we had and met every need. We agreed to a purchase within 48 hours of arriving and from then on Jennifer and Christine took over with managing the paperwork, expediting inspection, and providing a wealth of information about the area. Our final closing took place the end of November which they handled beautifully as we have returned to New England for holidays with family. We know that both Jennifer and Christine will be available to help us when we return in January to make the place our very own. Just bought a home with them. Great to work with, they know the area very well and are very patient with picky buyers like us, I highly recommend giving them a call if you are looking for a home in Siesta/Sarasota area! Christine Kramer's local knowledge and insight into locations and neighborhoods is significant. Professional, timely, encouraging and fun, she stayed with us through the long process of finding the perfect home. Christine and Jennifer know their area extremely well and will go the extra mile to make the deal. Showed us properties in areas we would never had considered or toured. Always available for phone calls, questions, help, whatever is needed. We were only in town for one weekend which made for two very long days, but Jennifer had viewings scheduled in order to make very efficient use of our time. Jennifer and Christine are responsive to their customers and knowledgeable about the market in the area. My husband and I will continue our search for the perfect Florida Home for us and our lifestyle. Jennifer is honest with her opinions and definitely has her clients best interest at heart. They were patient and up front and provided help in thinking through our decisions. Pointed us in good directions and listened carefully to what we wanted without trying to change our minds or direct us in any direction other than the one we wanted to go in. We started with two different offers with houses that fell through and they supported and helped in our decision-making. They made time on short notice to help and took us where we wanted to go. Would work with them again in a heartbeat. We have business interests in a number of countries and have been doing real estate deals for over 25 years. Christine and Jennifer are two of the most professional people we have ever worked with. Their attention to detail is excellent, they will keep you informed at all stages of the sale process and their ability to stage a property for sale is second to none. Our property sold in 8 days leading to a stress free closing. If you are buying or selling property in Sarasota use this team. Christine and Jennifer were with us every step of the way over a 6 month period. We were blessed to have them on our team as we navigated our way through two very complicated real estate scenarios. They have an excellent group of professionals on their support team and everyone rose to the occasion to assist us through our search and eventual purchase. Christine was available night and day to answer our questions and helped us to keep any anxiety we were feeling at bay. At the end of the day, they found us the perfect condo, assisting us in seeking financing all the way through to the closing on our new home in Sarasota. We can't thank them enough for all they did for us! From first contact through closing, the Kramer-Thompson team was outstanding in every way. At the time we listed our Sarasota home, we were living in a second home 1,400 miles away. Christine and Jennifer managed everything that had to be done to prepare the Sarasota property for sale, listed it, and sold it, keeping us informed of every detail from beginning to end. Our property sold in only two weeks! It doesn't get any better than that. We highly recommend the Kramer-Thompson team. We recently closed on our new house in Sarasota. Christine Kramer and Jen Thompson did a wonderful job helping us through our buying process; they handled our very specific needs plus dealing with hurricane delays and other unforeseen issues. We are very pleased and thankful. Best to you and all over the holiday season. - Ted and Elizabeth G.
Chris and Jennifer recently helped us find and buy our Siesta Key home. It has only been two weeks since becoming full time residents after spending 40 years in Chicago. Their knowledge of the market helped steer us to the right home selection. Just as important to us was their knowledge of local professionals and businesses, which helped the closing go perfectly. They got us started in the right direction about where to go for services in our new home town. They also followed up with any commitment they’d made to us, and always had time to help us with real estate and non-real estate questions we had. We definitely recommend them. - Mike & Helen S.
I first met Christine when she showed us a house we asked to see on Valentine's Day! That showed us she was a serious realtor. Christine and Jennifer worked tirelessly to show us any homes we were interested in, but never pushed us to raise our price above what we told her we were comfortable with. Christine and Jennifer found the property for me, negotiated the contract within 24 hrs and kept me on task with all dates leading me up to closing. It's quite apparent they know the real estate market. This closing was the smoothest and quickest I've ever been through. I would highly recommend them. I wanted to thank Jennifer and Christine for making the process of finding, purchasing, and closing on my new home a smooth process. They were instrumental in assisting me in the closing process with the Mortgage Company, Home Owners Association, and Bank (and let me tell you that was a mess they helped straighten out!!). They really make sure to take care of you from start to finish! I would highly recommend them and will use them when purchasing another property in the future. Thanks again for being excellent at your work! Finding a place in Siesta Key was a 20-year dream for us that we decided to move on this past July. To be honest, I initially contacted a competitor, DWELL, who responded to my initial email, but never connected me with an agent. Then, through Zillow, Jennifer responded immediately to my inquiry (literally within seconds) and arranged some pre-work before we arrived. Upon arriving in Siesta, Jennifer and Christine met with us for about an hour just to gauge what we were looking for before they took us out on properties to view. Ironically, Jennifer was attuned to what we were honing in on and recommended we see a property that had been taken off the market. It was the one - and the negotiations and rough spots were smoothed over by both Jennifer and Christine. Since that time, Jennifer has become more than an agent; she has helped us as a friend. From sending pics of the landscaping to helping put packages in the home, she has gone above and beyond, and we are grateful to have met her. - Nancy & Doug S.
Our experience with Christine and Jennifer in our recently real estate dealings is nothing but excellent. They are very professional, knowledgeable and has such a pleasant personality that we without hesitation wish to refer them to anyone who is in the need of a trustworthy and service oriented Real Estate Agent Team. - Irena and Gerold B.
Christine was great with getting us in to see what we were looking for. The process of buying the house was smooth. She is very prompt with returning emails and phone calls which is needed when you are trying to buy from out of state. Jennifer and Christine were and continue to be fabulous! Purchasing property "long-distance" can be challenging- but their knowledge, expertise and attention to detail have made this process a breeze. It is awesome to have such a dynamic team as your eyes and ears in Sarasota while living in New York. They truly are the BEST! Great team in all respects. Prompt, courteous, very helpful and professional. Always right on time, great follow up even after our purchase was completed. Chris was great, help us find the perfect house for us and make the closing easy. - Jay & Jennifer G.
We first met the team 2 years ago. We told them to keep an eye out for what we wanted and where. They have kept us informed every time something became available. Recently they sent us a listing matching our desires and they quickly followed up, helped us through the offer process, contacted the seller. We made an offer, countered and then agreed on the sale from both sides. Deal done. They made it easy. They always responded quickly and professionally. We live out of state but with their professional help and quick response we were done in a week. They even helped us with the inspection and they were present for us during the inspection. I would highly recommend them and will definitely use them again. Christine and Jennifer are beyond knowledgeable and helpful. They are true professionals and experts in their field. Christine and Jennifer are also two of the kindest and most thoughtful people we have worked with. They were truly patient with my husband and I when we were in Sarasota looking for a vacation home, where we were unsure of what we wanted and what was available. We closed yesterday and are in the house. Christine and Jennifer were with us all the way, keeping in contact via phone and e-mail, and supported us throughout the process with honesty and joy. They truly love what they do and it shines through. We highly recommend you work with "The Power of Two." Go Team! Christine is a very professional real estate agent, we met at one of her Open Houses, and immediately connected. Told her what we were looking for and in our first " house tour" she found exactly what we were looking for , the start of a new home development and to be our dream home. 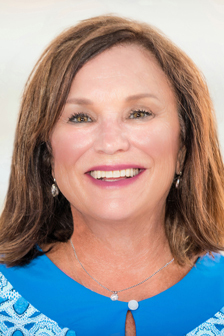 We wish her all the very best in her profession and will highly recommend her to anyone looking to sell or buy real estate in the Sarasota area. Jennifer was great to work with. She helped me find the perfect house in just one day! She then negotiated a great price with the seller. She is very organized and helped me through every stage of the closing process. Unlike other real estate agents I've worked with in the past, Jennifer truly cares about her clients and goes out of her way to make sure they are happy. I would highly recommend her to anyone looking to buy or sell in the Sarasota area. Christine and Jennifer are outstanding realtors. This was a second purchase for me with Christine. Approximately 1 year ago, I purchased a condo on Siesta Key with my brother. At that time, I had told her that I would be looking for a home of my own in the near future. I called Christine and she was such an advocate for my brother and I when purchasing our condo.. She is trustworthy, has an awesome work ethic, and has super interpersonal skills! An extra benefit it that she is SO much fun to be around. Having Jennifer on the team was an extra-special bonus. Jennifer is honest, hard-working and has such a sense of detail. In my mind, I had the PERFECT TEAM! These ladies need to be cloned! I love both of them to pieces. I still can't believe that they worked their magic. They completed the transactin in such a time efficient of one week. I can't believe they found the perfect place and negotiated an awesome deal! Chris took the time to show us all of Sarasota. She got a feel for exactly what we wanted at our price point. Found the perfect property. Smooth transaction. She went far above and beyond. Fantastic realtor. Kudos to Chris. Couldn't be happier!! Christine & Jennifer have been working with me and my family to find a vacation home in Sarasota. As we live out of state we rely on them to be our "eyes & ears" in our property search. They have both gone above and beyond in checking out properties for us. They are awesome, professional and very enthusiastic. You can tell that they love their job and that they love Sarasota! I am confident that they are going to help us find that "perfect" home. Update: I am very happy to say that thanks to the efforts of Christine & Jennifer we found a vacation home perfectly suited to our family. They facilitated the transaction from start to finish and provided us with all the help we needed to find the services we would need to maintain our new home. Their commitment to their clients is evident in everything they do. I would not hesitate to recommend them. Thanks for everything Christine & Jennifer!!! I just wanted to drop a line on Christine Kramer & Jennifer Thompson. I had contacted them from San Diego Ca. looking for a home in the Sarasota area around $400,000.00. I told them about a few homes that I saw online and they arranged it for me to see it. When I flew in the were very helpful in everything and they answer all of our questions about the area. They picked us up at the hotel and drove us around for hours, even took us to lunch. They also invited us to a Halloween Party (which we went to & had a great time). As we were driving around my wife saw a home that we both really liked from the outside, Christine called the listing agent and found out that they had taken it off the market and were waiting for the roof to be installed (flipped home) before they re-list it. She asked if her clients could look at it since they are leaving to go back to San Diego the next day, they said yes. When my wife and I looked inside the home we fell in love with it. We made an offer right then; it was accepted. Christine & Jennifer went the extra mile to satisfy us and make us feel welcome here in Sarasota. I am a business owner (Only Choice Home Inspections LLC) also. Most people will tell you something bad about a employee but never tell you anything good about them. Christine and Jennifer are the best agents, people person, down to earth, caring and knowledgeable people I have met in a long time. I'm in the home inspection business and have 400 Realtors that I worked with in San Diego, none of them are like Christine & Jennifer. I just closed on a villa they helped me find- by understanding me as a person- my needs, preferences and budget; they were right there. They were friendly, helpful, hardworking and always accessible by email/phone or to meet. They also connected me to high quality flooring and interior painting professionals that did an amazing job (reasonably priced) on my new home! In less than 1 week after taking the keys, I'm moving into a fresh and lovely new home in a prime location that's accessible to the beaches, downtown, my work and other conveniences nearby. Big thanks and appreciation for the teamwork of the Christine Kramer and Jennifer Thompson- Michael Saunders Realty Team! - Bill & Peggy D.
I found Jennifer Thompson and Christine Kramer very knowledgeable regarding the real-estate available. They answered all my questions and showed me great options in the price range I was looking in. I will definitely use them as I continue to look for the right home for my needs. GREAT JOB! We just moved into our new house and we love it! It is because of the extraordinary efforts of Jennifer Thompson and Christine Kramer that we own this great property. When I decided to purchase my first home I felt excited and extremely overwhelmed. After meeting Jennifer and Christine I knew they were the perfect team to help me through what seemed like an insurmountable task. I received constructive feedback from them both while looking at properties and was provided with genuine recommendations for listings in my price range. When I did decide on a home, Jennifer and Christine continued to help me through the purchase process by introducing me to the right contacts to help me finalize the contract and even attended my closing with me. I truly felt part of the Kramer Thompson family and as a first time home buyer it was exactly what I needed. Without their hard work and dedication I know my experience would have been daunting but Jennifer and Christine helped me to find a home and it was more than I could have ever hoped for. - Karen & Brendon H.
These two amazing women go above and beyond. Very Professional. Found my house in one day. Closed in 3 weeks. They saved me around $16,000. The two were on top of every detail with the contract. Hired a lawyer to make sure the deal went smooth. They helped me get the home I fell in love with right from the start! If it wasn't for them paying attention to all the little details, I could have lost the place as fast as I found it. Thank you for everything, SO MUCH, I appreciate all the hard work you put in and will be sure to call you both up when I finally am settled in and set up a housewarming get together! I’m normally leery of website reviews for realtors, because I think they could have been easily posted by friends and family. Nevertheless, I contacted the Kramer-Thompson realtor team based on their reviews on Zillow. They had so many positive reviews I figured they couldn’t all come from relatives and friends. We heard back within five minutes from Christine Kramer. And the rest, as they say, is history. In this instance, I can unequivocally say that their reviews don’t lie. After hearing from Christine Kramer, we agreed on the time and date to meet. She drove us around Sarasota, showing us different subdivisions and tirelessly educating us about the area (since we are originally from the northeast). The following day, she and her partner, Jennifer Thompson, started showing us actual houses. They quickly got a sense of the kind of house we were looking for. Christine and Jennifer were very accommodating, knowledgeable about the real estate market in Sarasota county, and were very patient in showing us different areas. Never once did we feel any pressure to consider a particular house; they always gave us frank and candid advice on the properties we were viewing. When we decided to make an offer on a house, we felt secure in knowing that Kramer/Thompson were acting as friends as well as realtors and weren’t just there to make a sale. They recommended a list of reputable and reliable people (inspectors, mortgage brokers, contractors, suppliers, etc.) to choose from and held our hands every step of the way. Although Christine was our primary contact, we know that if for any reason we couldn't get hold of her, Jennifer would be there to step in. They truly live up to their self appointed name "the power of two." I felt I could call Christine any hour of the day or night with questions or concerns or even just a recommendation about where to have lunch. She truly worked tirelessly for us!